Today, let us look at the last couple of things that are important about your dialysis. Dialyzer type is a very important factor in determining whether you are getting good dialysis. As you know, this is akin to an artificial kidney where the actual filtering takes place. This is where the excess fluid and toxins are removed. There are many types of dialyzers in the market today. The important thing to check is whether your dialyzer is low-flux, medium-flux or high-flux. High-flux dialyzers offer the best clearance among all variants followed by medium-flux and then low-flux. The difference is the amount of surface area inside dialyzer available for the blood and the dialysate to interact. The greater the surface area, the better the clearance of toxins. High flux dialyzers have a greater surface area than medium and low flux dialyzers and therefore, are able to clear toxins much better than them. 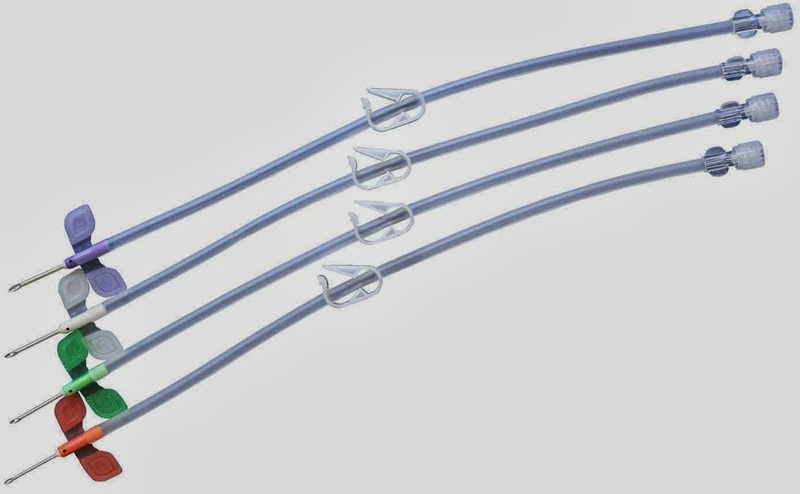 High flux dialyzers are also able to remove more fluid easily compared to low flux dialyzer which have constraints in fluid removal. Though fluid removal is a setting on the machine, this is done by altering the Trans-membrane pressure (TMP) and low flux dialyzers cannot withstand a high TMP. Clearance of middle molecules is something that everyone on dialysis must be worried about. Middle molecules do not have an immediate impact like potassium or sodium but over a long period of time, they can cause something called Carpal Tunnel Syndrome and other problems. So, it is important to make sure we are getting adequate clearance of middle molecules. The clearance of middle molecules is not at all satisfactory in low flux dialyzers. High flux dialyzers do very well in clearing middle molecules. However, dialysis duration plays a very important role in clearing middle molecules as well. High flux dialyzers are unfortunately and expectedly, much more expensive than the low and medium flux dialyzers. The gauge of needles is another important factor to consider while determining your dialysis prescription. Dialysis needles are thick! Who likes them? Thicker needles allow more blood to be removed from your vein than thinner needles, obviously. So, using a needle with a thicker diameter allows you to run your dialysis at a higher blood flow rate. Trying to run at high blood flow rates with a thin needle can cause your blood to hemolyze which can actually be fatal if not detected early. So, it is very important to choose the right type of needle with the right blood flow rate. One thing to remember is needle gauges are reverse in order. The higher the gauge, the thinner the needle. 16 gauge is thinner than 15 gauge and 16 gauge is thicker than 17 gauge! In India, most people use 16 gauge needles because we run at low blood flow rates compared to the US where most people use 15 gauge needles because they run at higher blood flow rates. Your technician or nurse, totally devoid of ego and extremely well-versed with all these aspects of dialysis - some are so learned when it comes to dialysis, they actually have come up with a fascinating set of theories for different aspects like why the US runs at high blood flows - will generally make a good choice when it comes to which dialyzer and which needles would suit you rather than just use a default for all. However, it would do you a great deal of good if you discuss both these things with your nephrologist and arrive at a considered, well-thought out decision than just accept the default that is used for all! Remember, medicine is highly individual. What works for one person will not necessarily work for all! Thanks Manoj! Thanks for the link as well. It is a useful study. Hi, this is Aakash from Nepal. I am from a very small place in Nepal. How can i move forward ? what all i need to do so that i can conduct, home hemodialysis safely . It is important for your father's nephrologist to assess your father and his suitability to home hemodialysis. How old is your father and is he stable otherwise? And today is the first day he had his dialysis. I have read a lot that Dialysis can be done at home , with Machine specially designed for Home purpose. We need to have one trained person who can assist with the dialysis process. This may not be very suitable in India , but i guess, it would be very popular in US. Kindly suggest what can be done to conduct Hemodialysis at home. Mr. Rungta, please email me at kamal@kamaldshah.com and we can discuss.